Aloha! We are still celebrating the 54th Anniversary of Disneyland’s Enchanted Tiki Room. As we mentioned yesterday, we thought it would be fun to create a series of tiki drinks based on the birds of The Enchanted Tiki Room. Our first of these tiki drinks was based on Jose. 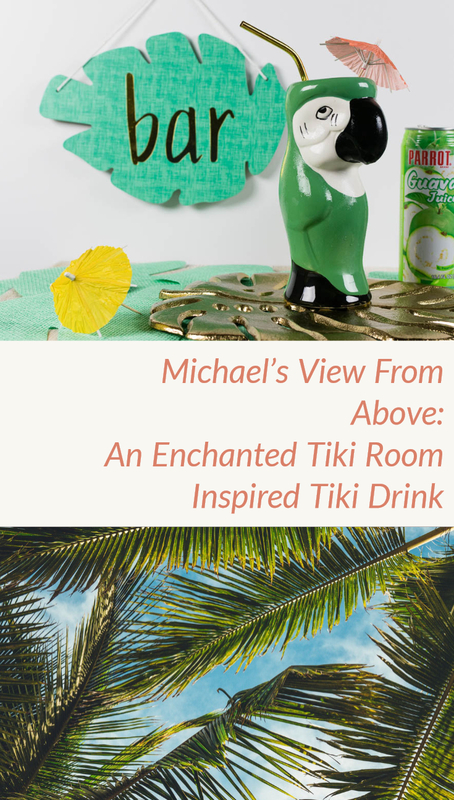 Now for our second tiki drink, we are focusing on Jose’s Irish pal, Michael. Michael is the green, white, and orange parrot with an Irish brogue. Like in the show, the voice of Michael, Fulton Burley, was brought in by Wally Boag to join him at the Golden Horseshoe Review. He also entertained Disney fans across the country, when he traveled on special tours promoting such films as the animated classic Cinderella, which was re-released on the big screen in 1981. After a quarter-of-a-century with The Walt Disney Company, Fulton retired from the Golden Horseshoe Revue in 1987. Michael’s View From Above was definitely inspired by Michael’s Irish heritage.To accomplish this, we used a combination of rum, Irish whiskey (Bushmills specifically), and BarSol Pisco. For the fruit juice part of our tiki drink we used guava juice. We love that guava juice is fruity and bright but not overly sweet. Sweet and a little bit spicy, this is the tiki drink for whiskey lovers! We hope you enjoy Michael’s View From Above! 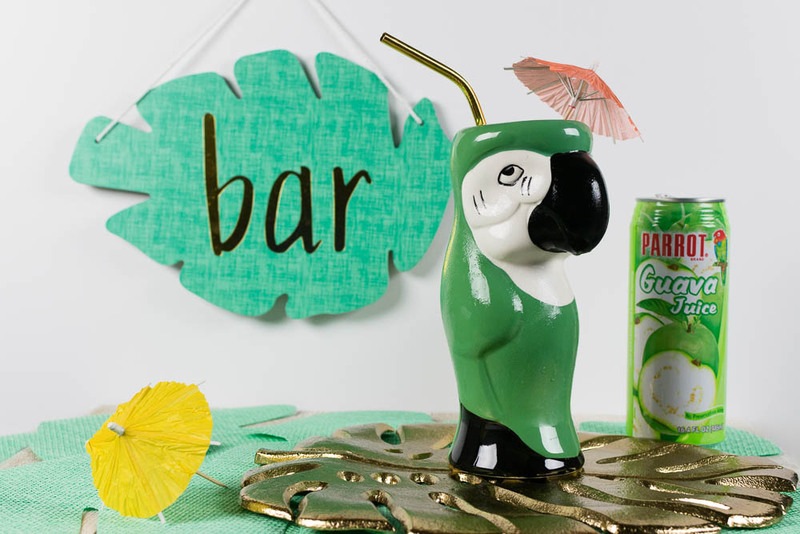 Be sure to check back this afternoon for our Tiki Drink inspired by the German parrot Fritz! Cheers! Combine all ingredient with ice in cocktail mixing glass. Strain into tiki glass filled with crushed ice.